This is so Raven, too. Disney Channel has renewed its Raven’s Home TV show for a second season. 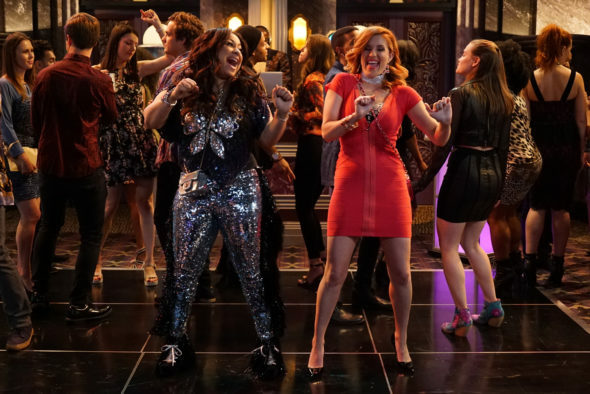 A live-action comedy spin-off of Disney’s 2003-2007 sitcom, That’s So Raven, Raven’s Home features Raven-Symoné and Anneliese van der Pol reprising the roles of Raven Baxter and Chelsea Daniels, respectively. Best friends since childhood, in Raven’s Home, Raven and Chelsea are now single mothers who decide to move in and raise their broods, together. The Disney Channel cast also includes Issac Ryan Brown, Navia Ziraili Robinson, Jason Maybaum, Sky Katz, and Jonathan ‘Lil J’ McDaniel. Like his mother before him, Raven’s middle school-aged son Booker (Brown) is developing psychic abilities. The series opened with the No. 1 live-action cable TV series premiere in two years among its targeted demographics of kids 6-11 (1.3 million/5.3 rating) and tweens 9-14 (1.5 million/6.1 rating) and kids 2-11 (1.6 million/4.0 rating). It also was the top series bow among all kids cable TV nets since Disney Channel’s Bunk’d in July 2015. What do you think? Did you expect the Raven’s Home TV series to be cancelled or renewed for season two? Let us know, below.